Your smile leaves a lasting first impression. If you find yourself hiding your teeth due to a yellowing, staining, or discoloration, it may be time to consider professional teeth whitening. In New Orleans, Dr. Timothy Delcambre and his team offer several teeth whitening options designed to help patients regain their self-confidence. 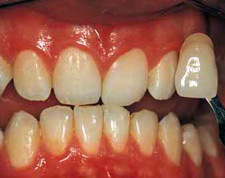 Conventional cosmetic options, such as veneers, often require that the teeth be altered in some way. While veneers are effective for covering internally-stained teeth, they require that part of the tooth be shaved down in order to secure the prosthetic. As veneers are permanently attached to teeth, this is a non-reversible procedure, requiring that patients diligently care for their treatment. Unlike other traditional cosmetic procedures, professional teeth whitening systems present patients with a non-invasive way of improving the aesthetics of their smile, without having to undergo extensive treatment. Rather than physically altering the structure of teeth, bleaching gel is applied evenly to the exterior of teeth, ensuring consistent results. Additionally, teeth whitening systems are flexible and can be performed either in your dentist’s office or within the comfort of your home. At Timothy Delcambre, DDS, MHA, we rely on Opalescence® in-office teeth whitening to transform dull, yellowed teeth into beautiful, vibrant smiles. Unlike other professional whitening systems, Opalescence® does not require specialized lights in order to activate bleaching gels. As the Opalescence whitening gel also includes potassium fluoride, this whitening system helps strengthen enamel during treatment. Within a single, one hour session, patients can expect noticeable changes in the color and vibrancy of their smiles, without the dental sensitivity that can accompany other professional and over-the-counter whitening systems. For patients with deep staining, Dr. Delcambre also offers Opalescence® touch up kits for at-home use. This system uses a customized tray to precisely apply the professional grade bleaching gel to teeth, allowing patients to keep their smiles bright and brilliant until their next appointment. 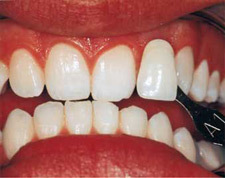 Teeth whitening is a simple, non-invasive way to improve the look of your smile as a whole. For more information about this cosmetic dental procedure, contact our New Orleans dentist today.